CLEAN CARFAX!!! 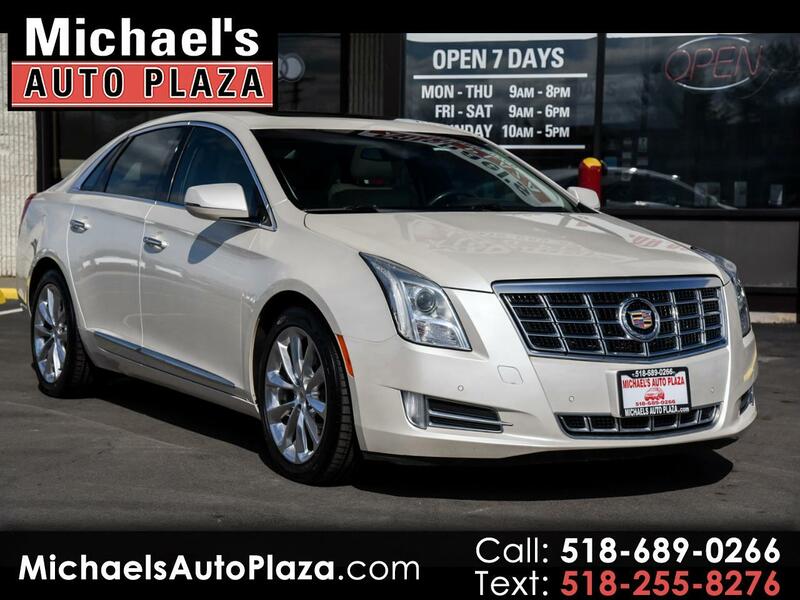 Do Not Miss Out On This Luxurious 2014 Cadillac XTS All Wheel Drive. White With Gray Heated Leather Seats and Only 57K Miles. PUSH BUTTON START, REAR HEATED SEATS, HEATED STEERING WHEEL AND PREMIUM BOSE AUDIO!!! Also Includes Backup Camera, CD Player, Portable Audio Connection, Power Seats, Sunroof, Traction Control, Remote Starter, Power Steering, Alloy Wheels, Keyless Entry, Power Locks And Windows, Rear Window Defroster, Side Curtain Airbags, Tilt Wheel, Anti Lock Brakes, Bluetooth, Cruise Control, Power Mirrors, Satellite Radio, Steering Wheel Control, Memory Seating And Airbags.